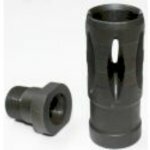 1/2 - 28 to 15mm x 1mm thread adapter with HK flash hider. 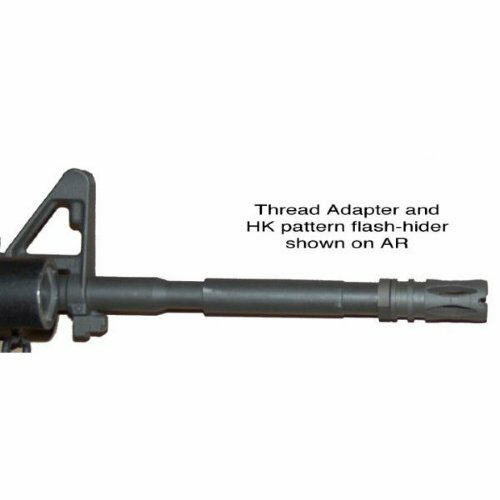 U.S. made HK-AR thread adapter made by BRP Corp. 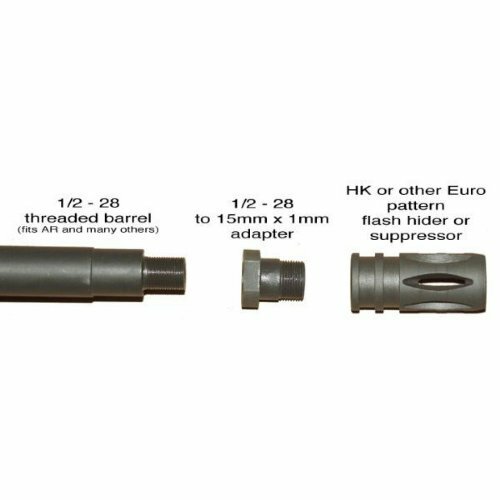 This adapter allows you to use HK muzzle devises on your M16, AR15, SIG556 and other weapons that use this common U.S. thread pattern. 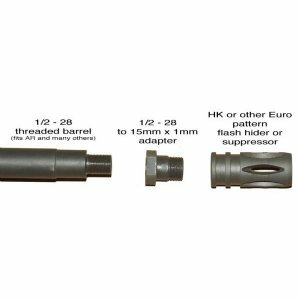 "HK flashhider adapter for AR15"
Product Review: This works great! A little hard to get the threads started due to the friction spring on the HK flash suppressor,but looks great and does the job.